Brackell is in Berkshire and about 11 miles to the south east of Reading and 28 miles to the west of Central London. It is a civil parish in the Bracknell Forest Borough. Braknell has many Victorian country mansions that are surrounded by parklands as well as formal gardens, making it the ideal place for hosting your team building activities. 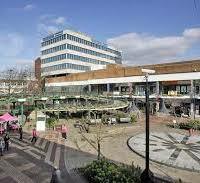 Bracknell Forest, which is located in the midst of the Thames valley offers great communication and transport links. 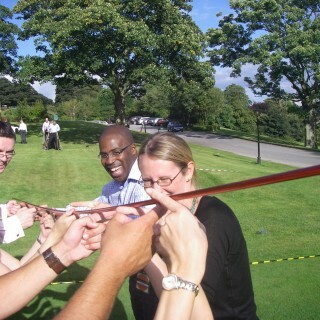 Bracknell area also offers a busy market town atmosphere, which is ideal for your team conference or team building activities. For instance, the Bracknell Leisure Centre is ideal for small groups as well as larger gatherings, offering a versatile venue with many conference rooms that can accommodate more than 200 delegates. Many such venues in and around Bracknell offer all the state of the art audio as well as visual equipment that you will need for your team activities. If you like forest adventures and garden games, there are plenty of such venues, such as the forests of Dalby, Swinley and Bedgebury near Bracknell. 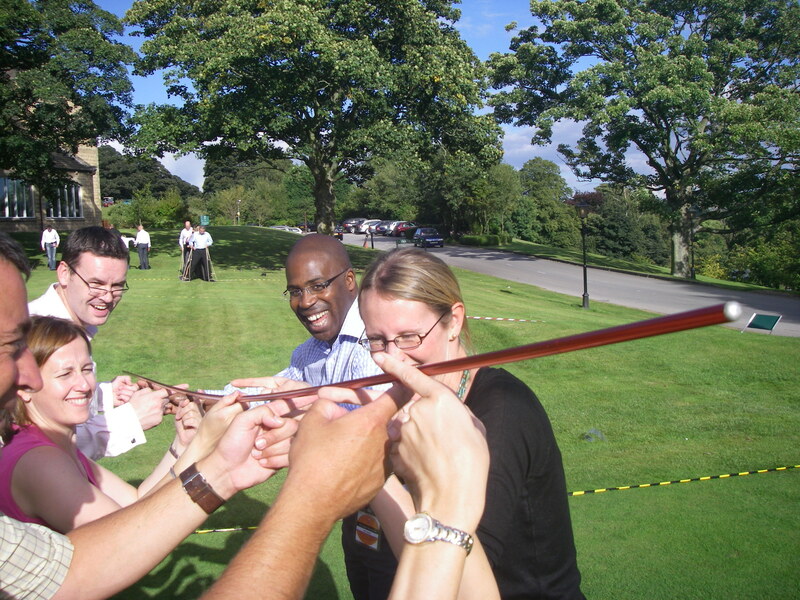 We have a wealth of experience in offering both indoor and outdoor team building activities, which can be brought to various venues in Bracknell. 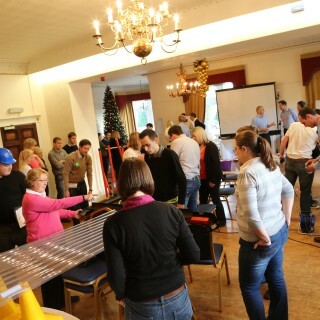 Our tried and tested indoor events, such as Flatpack, Cryptic Challenge, Ice Cream Challenge and Chain Reaction, have proved to be very popular and successful with many of our esteemed clients, such as Pepsi, Lloyds Bank, Brasher, KBR and others. Team Zone Challenge, Bridges of Babylon and Chain Reaction are some of our popular outdoor activities that have proved to be an excellent way of improving the morale and communication skills within groups. Our activities have been designed in such a way as to encourage creativity and interaction and stretch the imagination, incorporating aspects of leadership and decision-making. For more ideas give our sales team a call on 0845 680 6109 and discuss your requirements, fill out a quick enquiry or take a look at some of the other great events we run in Bracknell! Our indoor activities are flexible and can be as short or long as you want them to be. 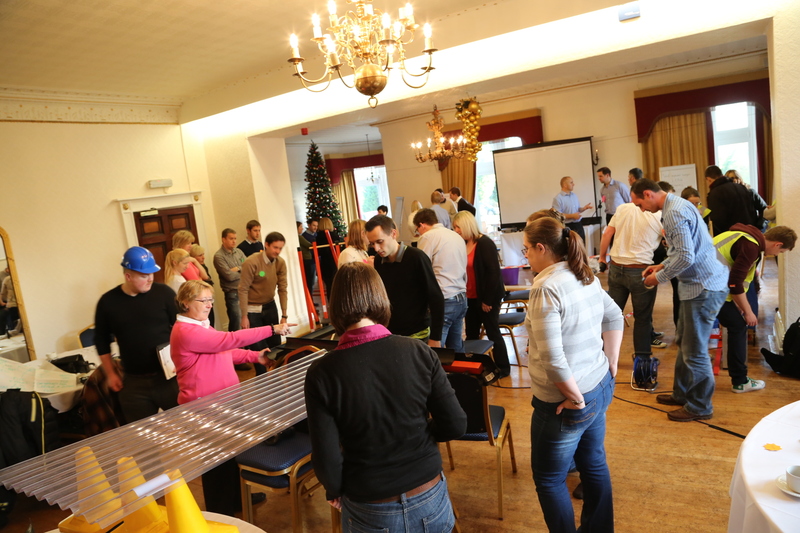 Some of our popular and fun events are Chain Reaction, Cryptic Challenge and Chocolate Challenge providing indoor fun and supporting initiative, creativity and better collaboration. The venues in Bracknell also provide the perfect backdrop for some of our top selling outdoor activities like Decision Wheel and Flatpack, which are both challenging and entertaining and various other games where tasks have to be completed under pressure. There have been settlements in the Bracknell Forest area since the Iron Age and even before the advent of the Romans in England. There is an old monument in the town, which is a Bronze Age burial mound located at Bill Hill, showing that its history stretches to prehistoric times. It was initially a part of the Royal Forest of Windsor and was known as Easthampstead, during 1535. With the Railway coming in 1856, it became a market town. The Bracknell Forest was created in 1974, with the College in Crowthorne being a tribute to Wellington. 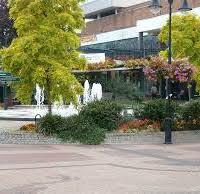 Today, Bracknell has many neighbourhood communities and is surrounded by open countryside. The skyline keeps burgeoning to show how it has attracted many high tech businesses to this town. 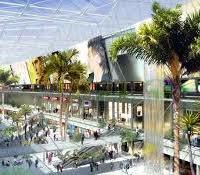 It is a very successful town, due to its proximity to London and good motorways as well as other transport links. The famous poet P.B. Shelley lived in Bracknell during 1813.